What a great crew! I love having a clean house and with 3 Golden Retrievers it’s no small job cleaning my home! I find them always prompt, offering great communications and very dependable. I have recommended them to several of my neighbors and believe all are pleased with the results. I felt the need to let everyone know what an amazing job Denise, owner of Maids in America and her crew do in my home! They have been cleaning for me for over a year now and I am very picky about my home. They are kind, punctual, 100% honest and love my little dog. When they leave my house is spotless and smells wonderful. Denise was very concerned about using the proper cleaning products on my hardwood & stone floors, showers and granite countertops on our initial meeting. This gave me great relief as that’s always been a worry for me. Inexperienced cleaners can cause big problems for a homeowner but totally NOT the case with Denise. She walked all over my home & took notes as to what products are safe and effective for me. It’s really customized cleaning as all homes are different and the big bonus is she’s reasonable in her cleaning charges! I promise you will not be sorry as they have been a delight for me and my family!!! 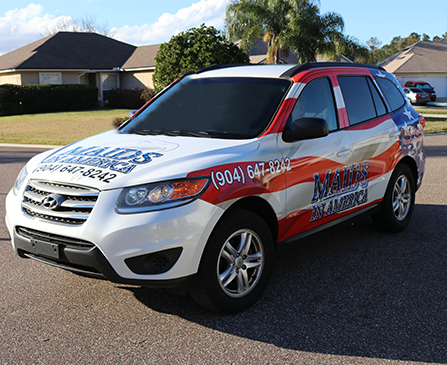 My wife and I had been using a cleaning service for almost 2 years, and were recently referred to Denise at Maids in America Cleaning. After speaking with Denise, I learned there were several things in my house that have not been cleaned in 2 years, which Maids in America considers part of their standard service. Combine that with the fact that they do more than clean – they actually sanitize! I scheduled one cleaning to see how their service would compare to our previous cleaning company and WOW what a difference. It was an easy decision to switch, the price was exactly the same but now I’m getting a truly clean house, including all of the areas you expect PLUS lampshades and picture frames, A/C vents and baseboards, and much more. Thank you Denise! Does it seem like you spend all of your free time cleaning? Maids in America is a premier cleaning company in Jacksonville, Florida providing full-service cleaning and commercial janitorial services. We do it all – from windows and kitchens, to picture frames and baseboards. Our professional and courteous crew of cleaners will leave your home or office looking sparkling new. We can even do one-time jobs if you need to prepare your home or business for a special event. Give us a call today at 904-647-8242 or send a message through our Contact form and learn more about what our cleaning crew can do for you. 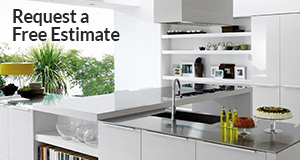 Free Estimates, 100% Satisfaction Guaranteed! Serving Jacksonville and all surrounding areas.